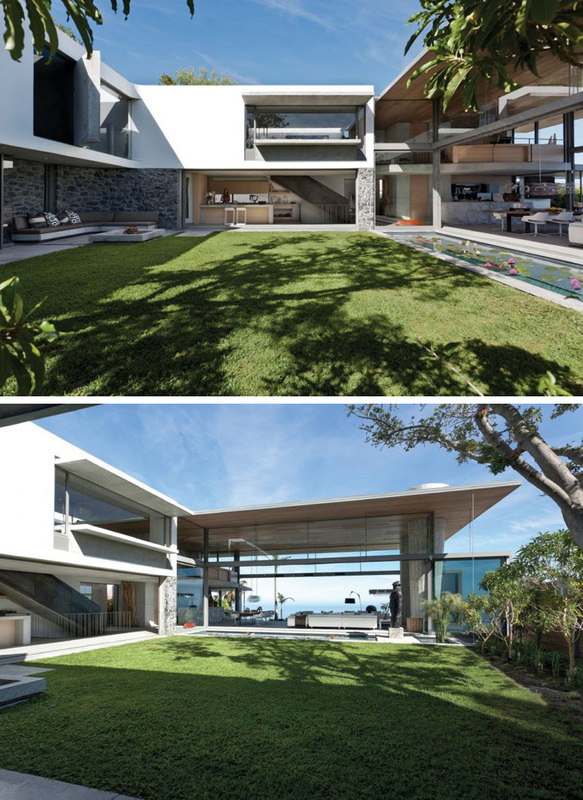 Stefan Antoni Olmesdahl Truen Architects (SAOTA) together with OKHA Interiors have designed the De Wet 24 House in South Africa. Modern in design, this unique house is situated around a central courtyard. 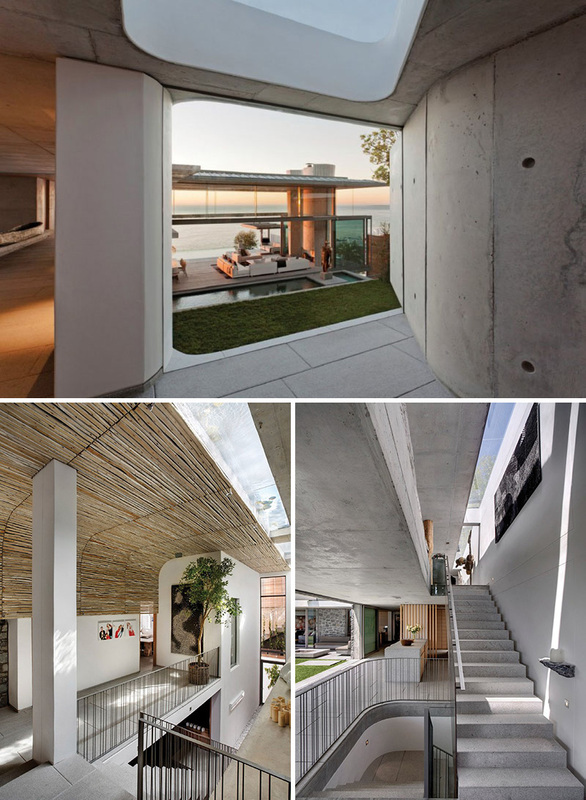 Entering the home, a concrete hallway brings you to a set of stairs that lead to the different levels of the house. A floor-to-ceiling window provides a glimpse of the courtyard below. Once at the ground floor, a central grassy courtyard is revealed that leads into other areas of the house. To the side of the courtyard a long water feature is displayed. 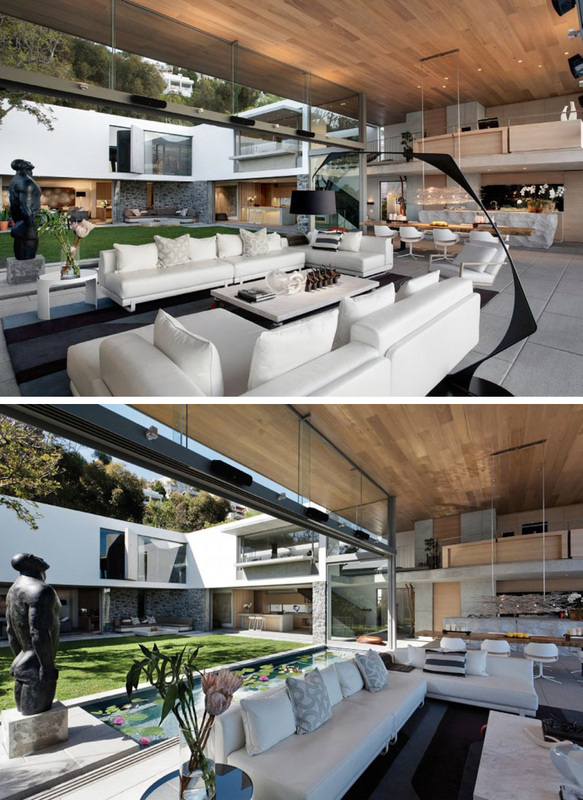 Inside, the living room and dining area share the same open space. The living area is defined by white upholstered furniture that sits on a large black and grey area rug. To create continuity, the wood ceiling travels from the interior of the house through to the exterior. 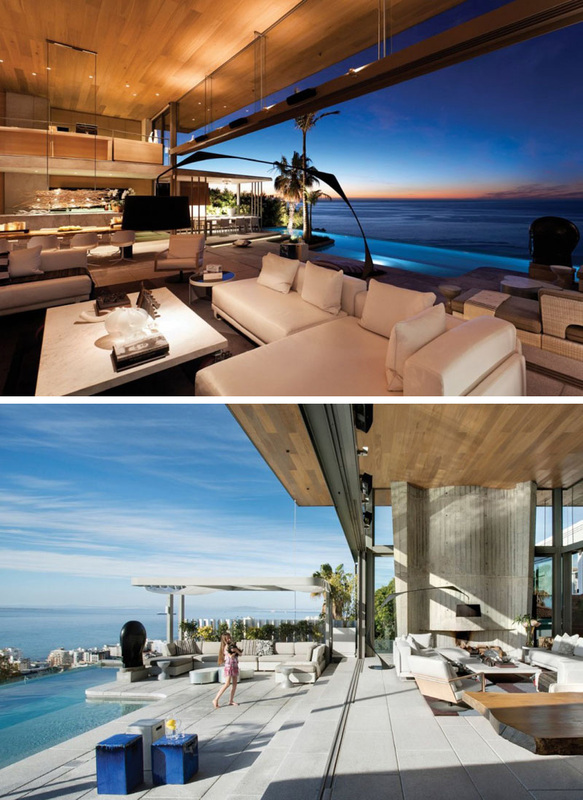 On the other side of the living room is an outdoor entertaining area with an infinity pool. The smooth concrete flooring continues on outside, where there is plenty of seating arrangements poolside to enjoy the breathtaking view. Back inside, here’s a look at the master bedroom which shares space with a small home office. 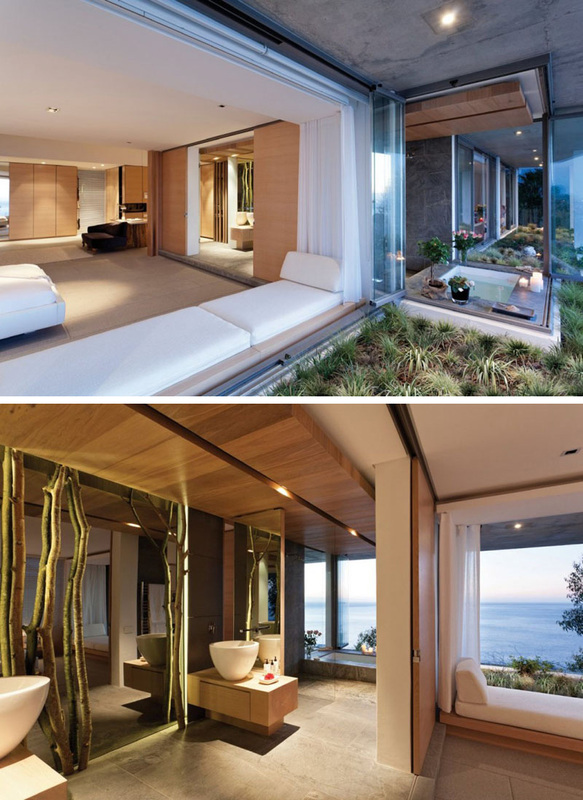 The interiors have been kept mostly white, with light wood accents used throughout. A white upholstered window seat is perfect for reading and daydreaming. From the window seat, you have views of the bathtub in the master bathroom, which is surrounded by windows, providing an uninterrupted water view. Two large, white countertop sinks are situated beside a floor-to-ceiling mirror that is framed by portions of trees.